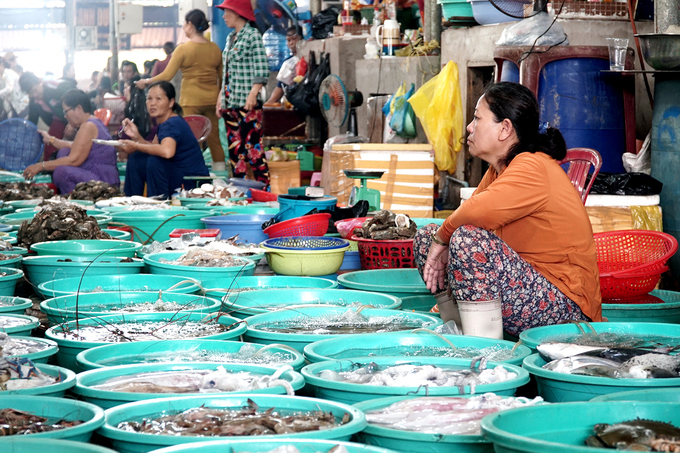 The Hang Duong Market in Can Gio District is an Eden garden for seafood lovers. 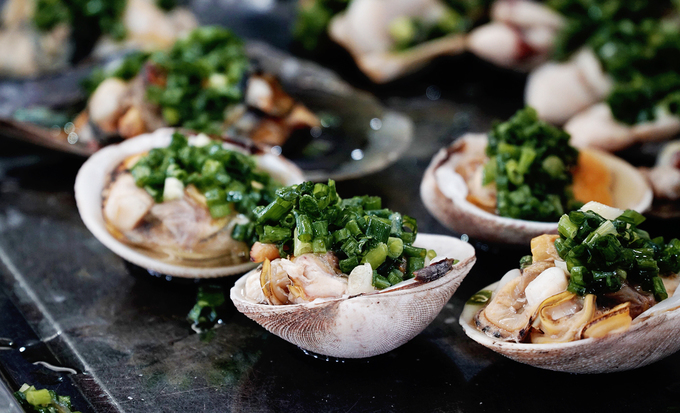 Located near the 30/4 beach, Hang Duong Market is a seafood lover’s dream, especially for Saigon residents who don’t have to go far to enjoy this bonanza. The market is just a two-hour bus journey from Saigon. 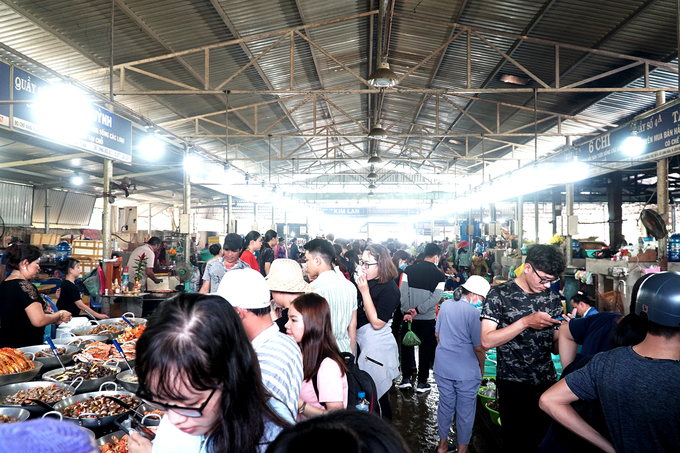 The market is open all day, but it is really crowded in the morning, when the seafood arrives directly from boats that have carried it from the sea to the local river wharf. The catch is sorted and put in plastic basins like the ones seen in the photograph. Many people find the noise and bustle of the market as people bargain and make purchases invigorating by itself. Customers can also find cooked seafood here. “It gets very crowded here when holidays come, and most of the customers are from the city. 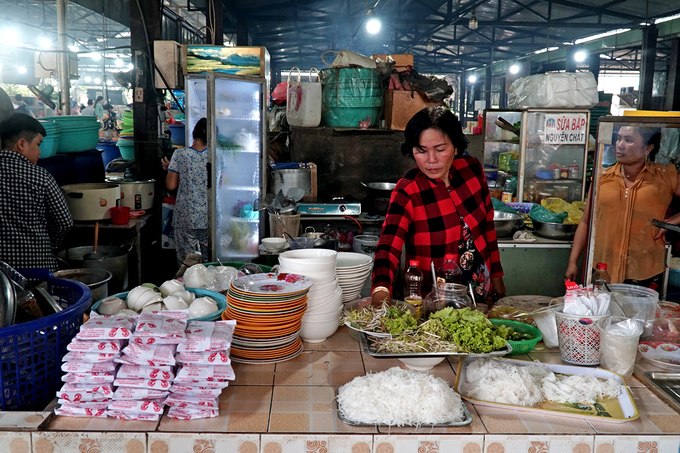 There are also foreigners here sometimes,” said Thanh and her husband, who have been selling seafood here for a decade. 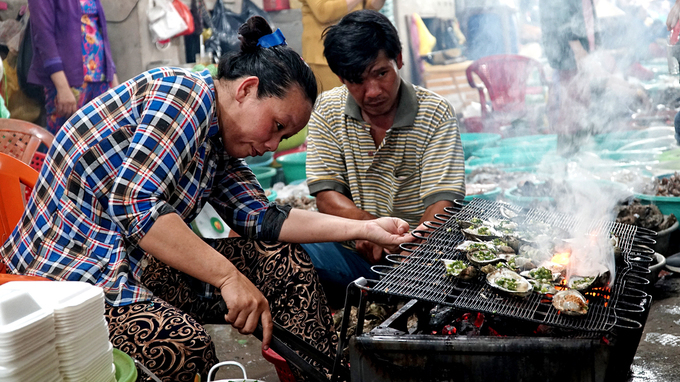 In the front and back of the market there are cooking areas where, for just VND150,000 ($6.43), customers can get fresh seafood they’ve just bought at the market cooked to their liking. Many people have called this market a paradise for seafood lovers. You can find almost any kind of seafood here at reasonable prices. Oysters and sea snails can be found at most of the food shops in the market. Sentinel-crabs and mantis shrimps are popular items. 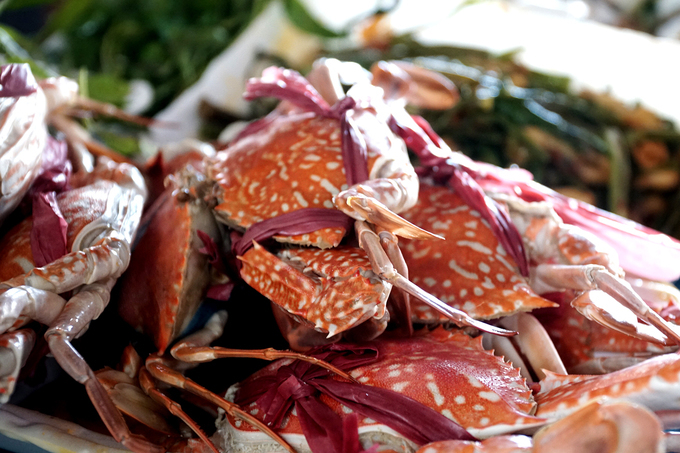 A kilogram of sentinel-crab cost VND400,000 – 500,000 ($17-21) while mantis shrimp is more expensive at around VND600,000 ($25) for a kilo. 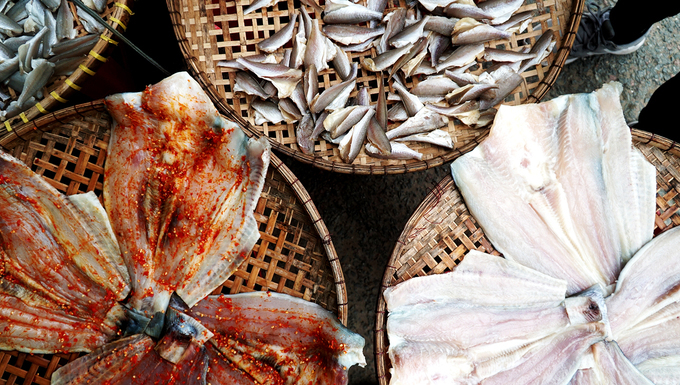 Apart from fresh seafood, customers can also buy dried items like fish and squid. Most of the seafood is manually dried. 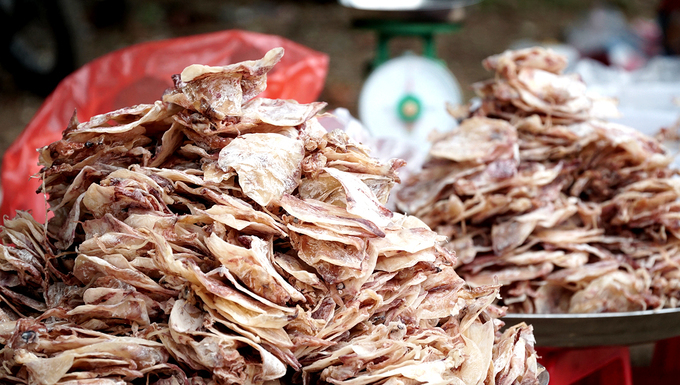 The most popular items are dried peal fish and catfish at around VND40,000 ($1.7) for a kilogram.